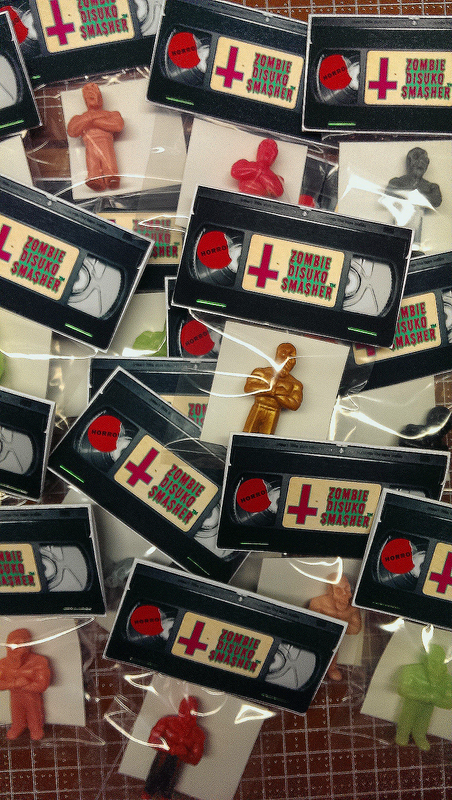 Jack’s Attic will be at the 3rd Annual Tape Eaters VHS Convention today in Ann Arbor passing out/hiding/dropping/throwing some one-off Zombie Disuko Smasher bootleg mini-figures. We cast 20 of these guys in some unique colors and in the process destroyed our mold, so once these ones are gone they will never be produced again. See ya at Tape Eaters! 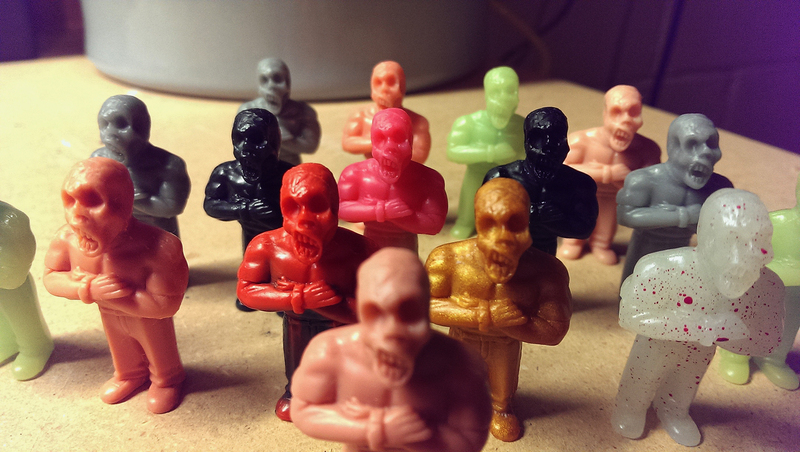 Previous postCrystal Lake Prom – Bootleg Resin Action Figure – Available NOW!